I think I get what you're saying there at the end. 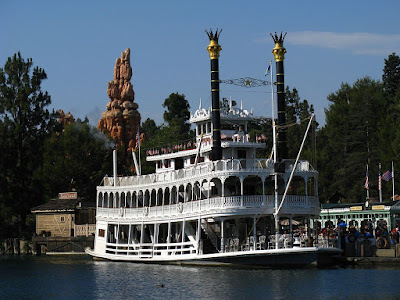 As a long time visitor to only Walt Disney World, my first visit to Disneyland was revelatory. Once I got over my shock at the tiny castle and the wacky location of Big Thunder, I fell in love with the place, and I wonder if the phenomenon you described might have something to do with it. For me, part of the tremendous appeal of Disneyland is precisely that it's less "slick" than Magic Kingdom (and from the sound of it, even less slick than DisneySea or Disneyland Paris!). I've heard people call Disneyland "quaint," which feels like a veiled insult, but to me it feels more like a huge toy - like you get to play in a gigantic Christmas village on some grandmother's mantle. 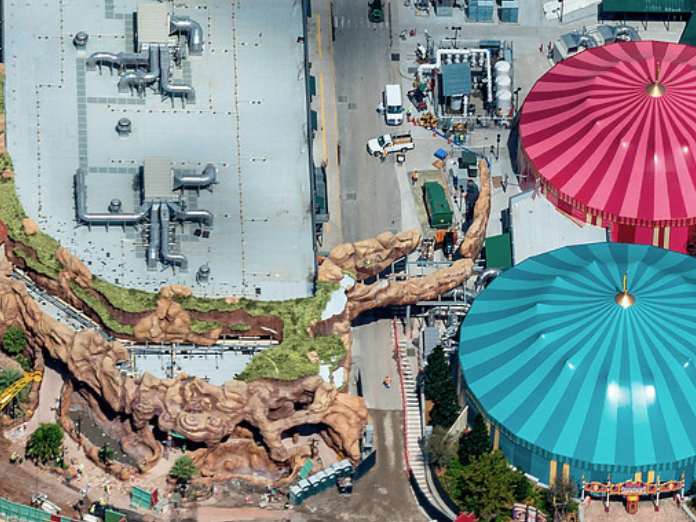 And I think some of the qualities of the park that might make it seem haphazard or unprofessional to one person, might make it seem more toy-like, authentic, and even charming to me. It's like a paradox. 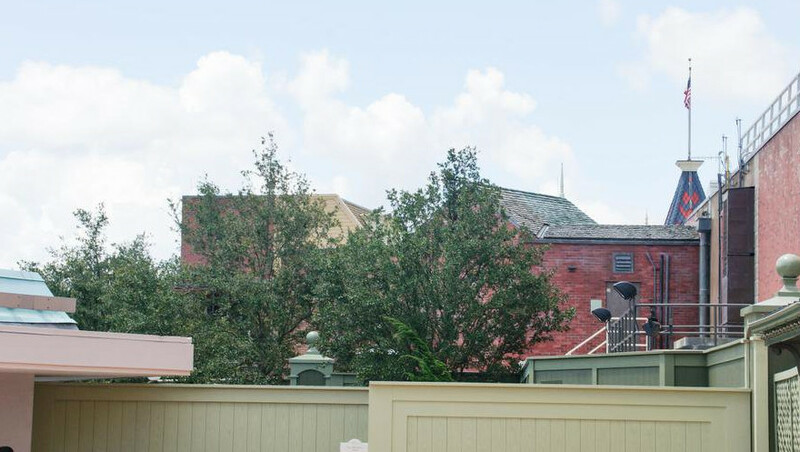 Seeing just a hint of the backstage (not too much) doesn't destroy the magic, it actually enhances it by making me feel like I could accomplish those design feats and control the land in the same way that Walt did. By seeing a little bit of the underbelly of the magic, I get to (in a small way) play the part of Walt, building his enormous Christmas village. Fantastic article as always! You know, the concept of "Go Away Green" kinda reminds me of the "Somebody Else's Problem" device from the Hitchhiker's Guide to the Galaxy series. The device was supposedly invented when scientists realized it was easier to convince people by mass hypnosis to ignore something, rather than actually render it invisible. I grew up on Disneyland since the 1960's What I love about Disneyland is that you can see the Matterhorn from Frontierland. Or that the famous Swiss peak rises above a subtropical submarine lagoon. 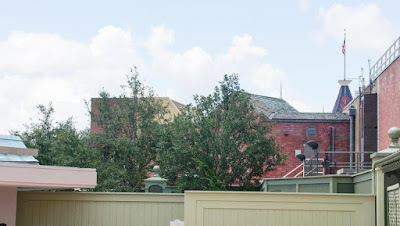 Or that a large fantasy treehouse rises next door to a Pirates entrance port building. It's part of what heightens the fantasy to me. 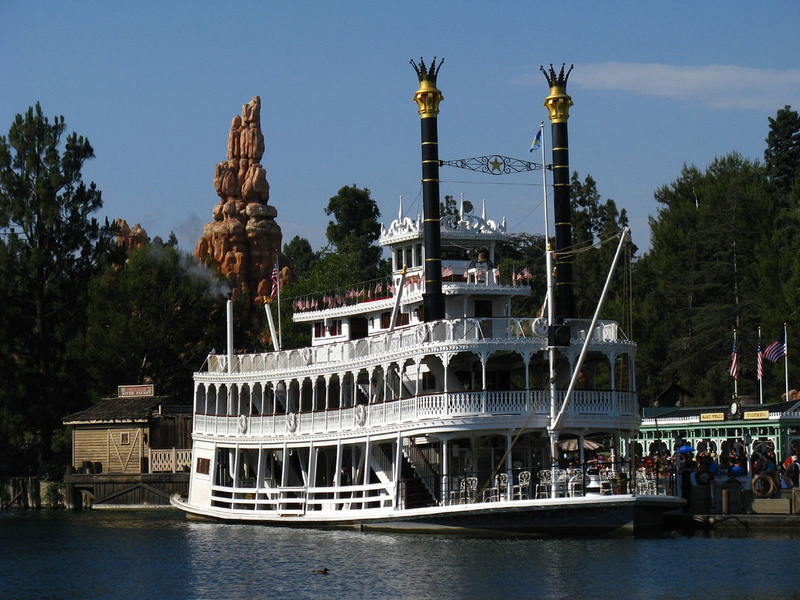 Also, the Rivers of America has always been a panorama of the American landscape and I love the fact that one can almost view it all at once. I also think of Disneyland as somewhat of a mechanical wonderland or a big toy. One of my favorite vintage images of Disneyland is a postcard showing a group of palm trees in front of the Alpine themed Matterhorn. It's visual imagery like that which makes me think "Only at Disneyland!" If it's absolute realism that I want, I'll go see the real thing. 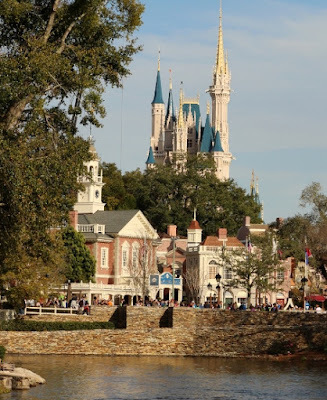 As for the Magic Kingdom, I started going there in the late 1970's and appreciated it on it's own merits. The transitioning between the "lands" is more complete and complex and it's what gives the Magic Kingdom its unique character along with its grand scale. While I'm aware of the "warehouse" show buildings, its when they try too hard to hide it that my attention is drawn to it. 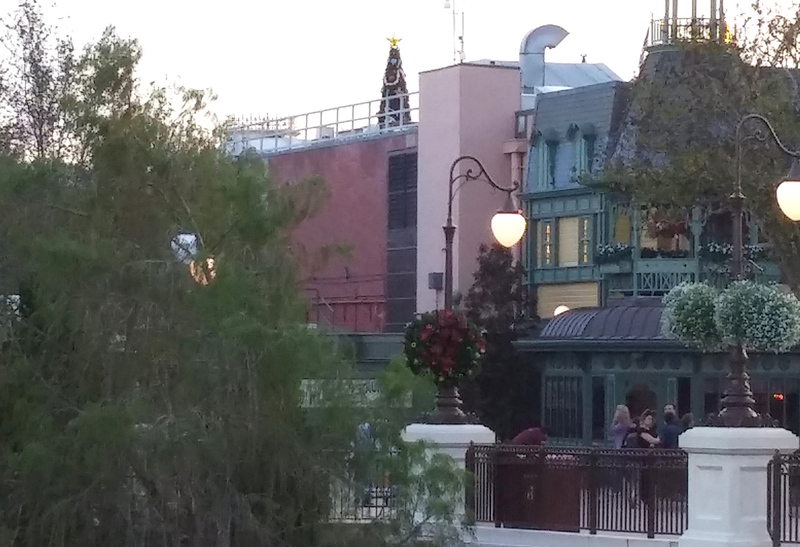 And I love that I can see Cinderella's Castle from Liberty Square, Frontierland or Tomorrowland. It reminds me that the Magic Kingdom above all is about fantasy visions, whether it's the frontier, futurism, European tales or historical moments. 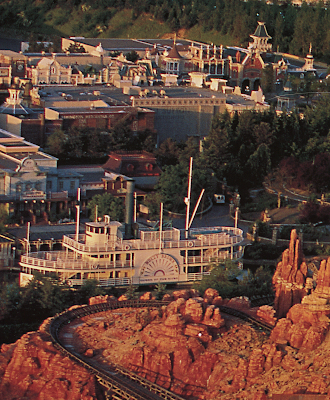 Bottom line, it's those supposed "flaws" that make me love these individual parks. If you try too hard to fix it, it loses its charm. Thanks for another wonderful article. 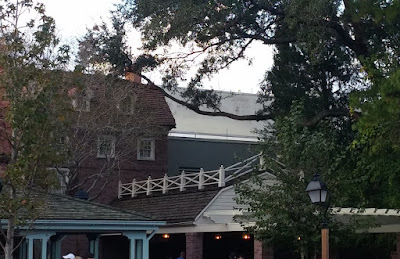 I prefer it when Disney hides the backstage area from view, although having been a CM in the past, I do know the intricacies of the attractions. Sometimes I just want to buy into the illusion, and I'd rather not have said illusion shattered. 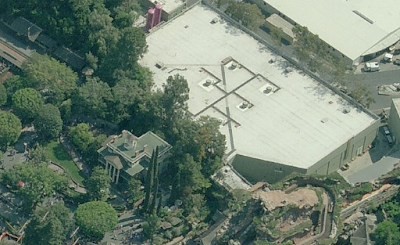 That big ugly block a building for Forbidden Journey should really be analyzed more. I've only spoken to a small handful of people about it, and I think it's problem that should be brought up more. I've been going to Universal for years. I realize it is not Disney. That's why I go. It's a different experience. However, the Harry Potter area was hyped up beyond belief to the point where I couldn't wait to experience what had been called the best themed area in a US park....Boy was I disappointed. 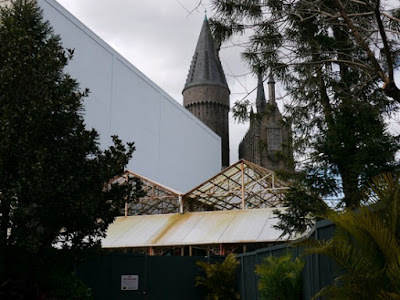 I really really wanted to believe I was in Hogwarts, but that ugly side of the building and the clear view of the backstage area kept me from it. Little things stuck out like the apparent fake owls, the mics that the performers would wear, the lack of transition between Hogsmede and Jurassic Park, and the video screens that were used for animations or food menus that would sometimes display an error screen like a 90's PC. This, along with the rude reception I received from some employees upon my first visit to this new area, soiled my experience as a whole. Furthermore, Forbidden Journey is a good ride, but the constant breakdowns I encountered did more to take me out of the moment. I was flying over Hogwarts one minute, and the next minute I was staring at a blank screen. When Midway Mania breaks down, there's a fun practice screen that doesn't take the guest out of the moment. Universal could benefit from something like that. Anyway, I'm sorry to rant about something off topic on your comments page, but since you brought up the lack of themeing in that area of IoA, I thought I'd share my views. Had Universal themed this area like a movie set in the tradition of their older attractions, none of these points would have stood out or bothered me. It's because they tried to play it off as a "real" universe in they way Disney does so well that this irked me. What I got from that experience was that most guests (at any park) really don't pay attention to that sort of thing. 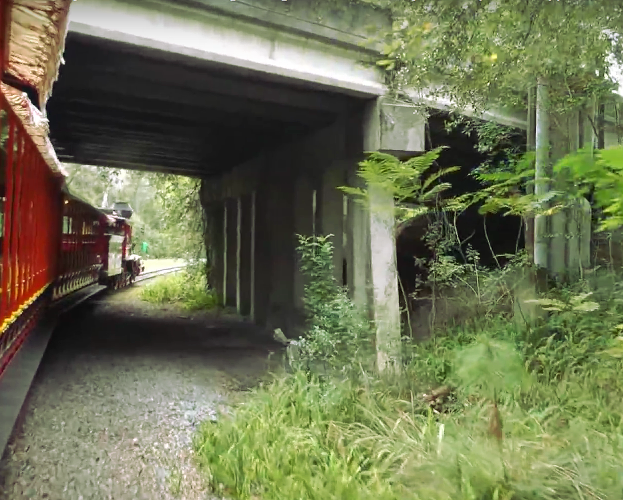 That was huge eye-opener for me, as I always sort of assumed that the heavy thematic details of the Orlando parks were a big reason people went to them. You're very right to believe that our community is probably the majority of those who look for the the transitions (or lack thereof) between the themed areas. Your average tourist probably doesn't notice. So glad you called out the hilarity of the "Mardi Gras parade prop storage" detail near the New Orleans Square station at DL. It's so meta. 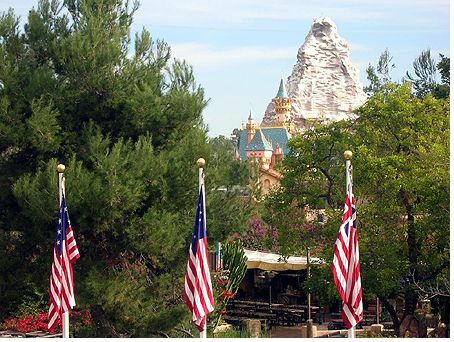 Like other commenters, I feel that part of what makes Disneyland so special is that feeling that the Imagineers were figuring the whole concept of themed design out as they went. Of course newer parks are slicker, more immersive, more impressive, and I am happy to enjoy the artistry and cohesiveness of their vision when I get to visit them. But Disneyland bursts at the seams, and I love it. However, I can imagine that for people who grew up going to newer parks it probably does feel a little amateurish. A little "regional", if you will. Ultimately I think Disneyland is a worldwide tourist attraction as much as an historic landmark as it is as a resort, although Disney has spent a lot of money trying to change that in the last couple decades. Great picture of Tokyo DisneySEA. I always loved that their backstage cuts right through the middle of the park! 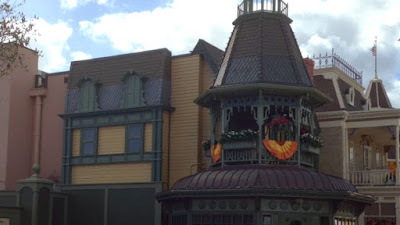 It's always a good day when I find a new post on "Passport 2 Dreams New and Old"! Thanks for this. I just found some photos from the construction of the Indiana Jones Adventure, and of course the massive unthemed walls are painted green. 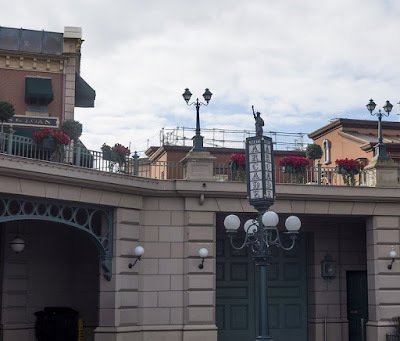 It's interesting to see that some of the formerly unaddressed backstage areas have received at least a little bit of attention; while I agree with you that many people just don't notice, it's the attention to small details that make the difference. To me, anyway. I would draw a distinction between backstage-intrusion and theme-intrusion. Seeing the show buildings really does throw off the experience sometimes. I understand we're only a tiny fraction who really think about these things, but that just makes it a lower priority, it doesn't make it not a problem. Even the "laypeople" do still notice them every once in a while, and in my experience the person seeing it is often the uncle who doesn't really "get" Disney who is less inclined to suspend disbelief and instead will allow that error to add to his sense that he's only reluctantly here for the sake of some children, not actively enjoying the experience himself. Maybe that's not the norm, though. Now, I think when designers are attempting to fix backstage-intrusion they should acknowledge that the probably can't stop ALL of it, and that's ok. If it's kept to a real minimum it can even add to the magic as earlier comment pointed out. They should also avoid haphazardly adding to good buildings in a way that ruins their effect just to cover up some concrete. But in general, preventing backstage-intrusion is a good idea. On the subject of theme-intrusion though I'm right there with you. In fact I may even be more extreme than you. 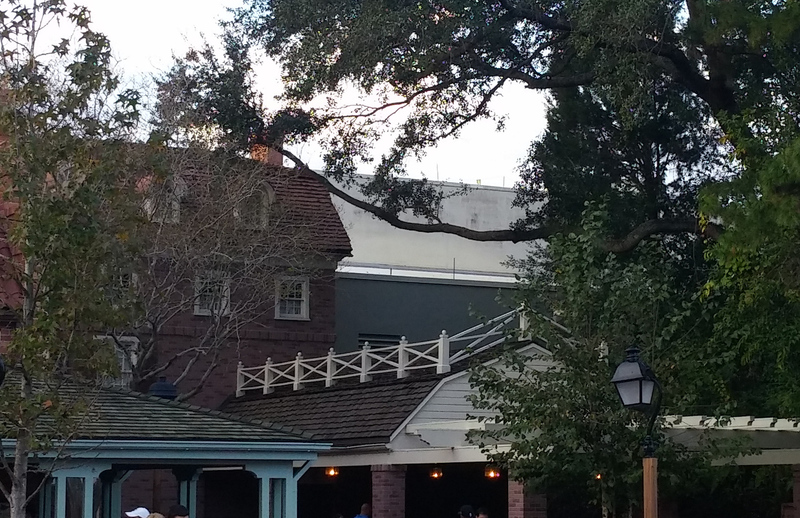 By theme-intrusion I mean the ability to see Frontierland from Adventureland or the way Main Street iron fences might run into Tomorrowland. I actually don't consider this a problem at all, at least in the case of Magic Kingdom-type parks. 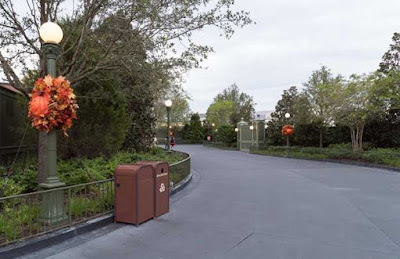 More granular themes of specific places like Diagon Alley have to worry about this more, but Magic Kingdom's more high-concept themes afford it an opportunity to allow lands to intersect. And frankly I don't think they take advantage of that opportunity as much as they should. Instead using it as an excuse for why certain awkward transitions are ok, I think instead this should be something the designers take deliberate ownership of. I'm thinking specifically about the transition between Fantasyland and Tomorrowland in Orlando. The futuristic buildings just sort of peter-out and then the pavement changes color instead of using it as an opportunity for visual dialog between a sci-fi world and a magical world. Maybe this has changed now, I haven't been in a few years.